HomeMan UnitedHow Did Manchester United Players Fare During The Monday International Matches? How Did Manchester United Players Fare During The Monday International Matches? Manchester United are still on the international break, but its end is getting closer. The fans have turned their attention from the club action and to the matches of national sides, but that will soon change. Manchester United are five days from their match against Watford, but still, some of the Red Devills are in action playing for their countries. This international break is even more interesting with the start of the UEFA Nations League. The new competition has been created in order to decrease the number of friendly matches and increase the number of meaningful matches that could earn teams money, better FIFA rank and, most importantly, a place at the 2020 UEFA Euro. Also, the qualifying pots will be decided by the results in Nations League. Manchester United players in action on Monday night had differing results – one win, one draw and one loss for the Red Devils is not great, but let’s see how the boys did. Nemanja Matic did not really play much for Serbia this time around. He was starting for Eagles against Lithuania last Friday, but this time he was on the bench for the most part of the game. He came on with 20 minutes to go instead of defensive midfielder Sasa Lukic. Matic’s display after coming on was not that great. He was often in possession of the ball, but did not do much with it when Serbia desperately needed to create chances. He looked a bit slow with it at his feet when Serbia needed pace and rhythm. It was, however, an interesting match. Aleksandar Mitrovic of Fulham scored a brace, both times improvising, though the second of the two goals was also a beautiful strike. Yet, Romania were not going to back down. They equalized for the first time after former Man City left back Aleksandar Kolarov made a penalty. The second goal was due to Serbia’s poor defending of set-pieces and Matic coming on could not really change things in attacking area. It was not a great match for Victor Lindelöf either. The Swedish centre-back did not play three days ago as he was rested for this match, but that did not bring the result everyone hoped for. Sweden lost at home to Turkey 3-2, after leading 2-0 at half-time and 2-1 with two minutes to go. Late goals brought an important victory for this Turkey side, while Lindelöf and his compatriots will be heavily disappointed. 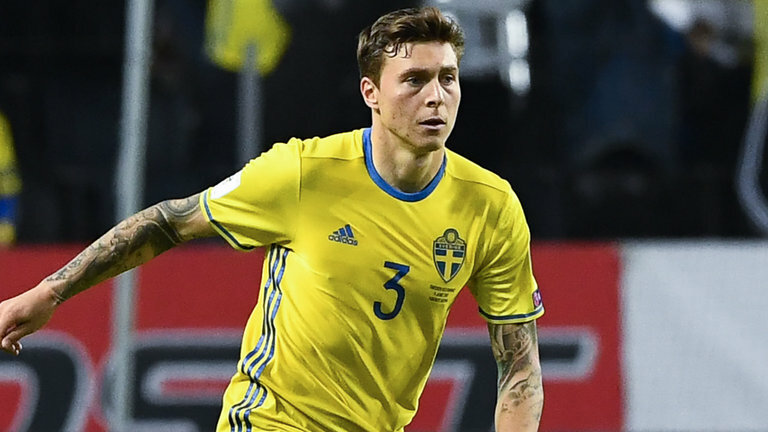 Lindelöf played whole 90 minutes. The only win for Man United players came through Scotland. After an appalling loss to Belgium in a friendly match, Scotland bounced back against a not-so-great Albania. It was 2-0 for the Scots and Scott McTominay got only 11 minutes on the pitch. He came in after 79 minutes to replace Callum McGregor. By then, it was already 2-0 for the hosts and Alex McLeish’s side did well to finish this game off without creating any unnecessary problems. Both Scotland and Albania now have three points in this group, but Scotland and Isreal are yet to play each other.